Digital devices are an everyday part of life, but all that screen time takes a toll on your patients’ eyes. 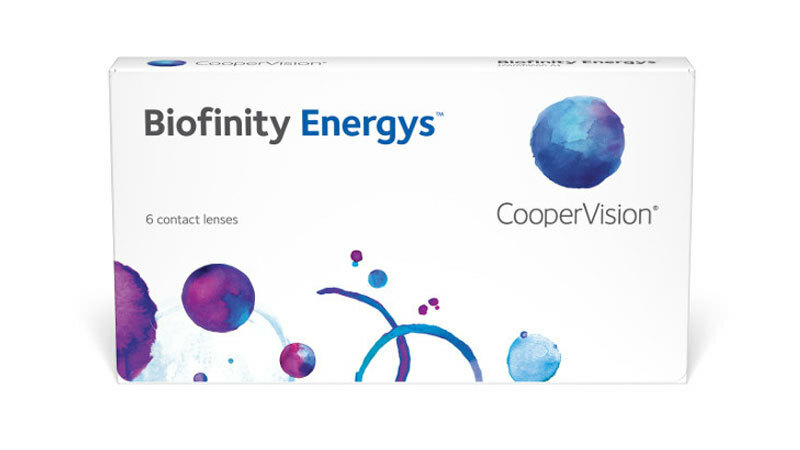 Now there is Biofinity Energys®, the breakthrough contact lens made for today's digital lifestyles. Biofinity Energys lenses feature Digital Zone Optics® lens design, which helps with eye tiredness caused by focusing on digital devices. Multiple front-surface aspheric curves distribute power evenly to simulate positive power across the entire optic zone, so wearers can change focus from on-screen to off-screen and back with less effort. This eases accommodative burden and may help reduce ciliary stress1. Creates an optimized balance of high oxygen permeability, good water content, and optimum modulus to provide increased breathability and moisture in a soft, flexible lens.